The inexpensive solution for pools up to 6x12 m. With a slat thickness of only 10 mm, Grando light rolls up particularly tightly and can therefore be accommodated very well indeed in the elegant frame of an outdoor or indoor pool. The semi-circular side sections guide the cover as it rolls up. available with or without paneling. Robust, hard-wearing and particularly load-resistant. With stainless steel shaft. The entire roller system can be removed manually or fully automatically from the edge of the pool. Ideal for sports pools or large-radius pools. 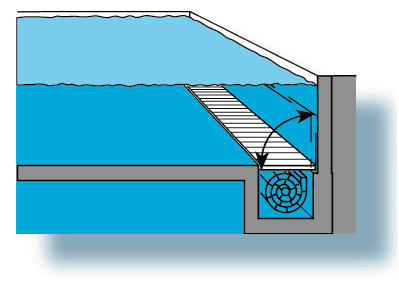 Roller System mounted above the bottom of the pool. 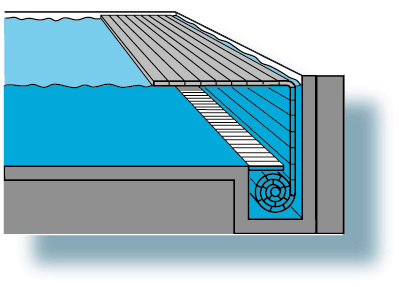 Roller System mounted below the bottom of the pool, with pit-cover. 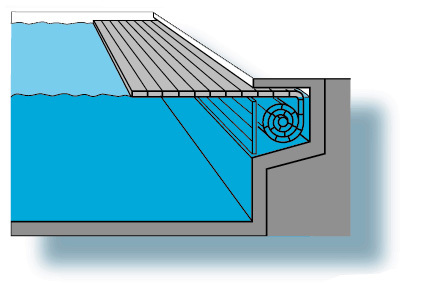 Roller System mounted below the bottom of the pool, with automatic shutter. 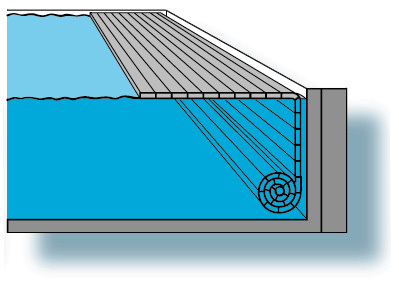 Roller System mounted directly below the surface. 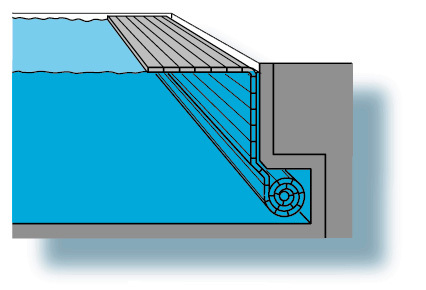 Roller System set into the edge of pool, also available with front paneling. Roller System mounted into the wall on the bottom of the pool. Typical Grando: The exceptional solutions for exceptional pools and their owners. 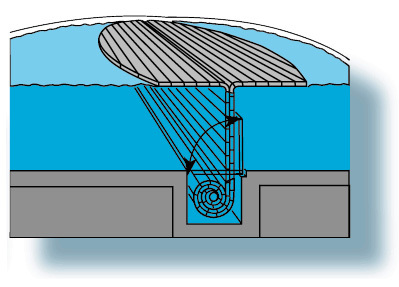 The Roller system, which is located below the bottom of the pool, allows plenty of scope as far as the shape and design of the pool. HOW? Two covers wind onto one shaft. 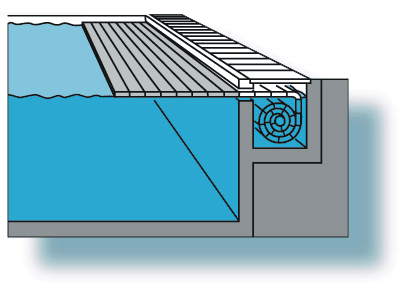 Roller System in a separate pit behind the pool. The motor is accommodated in a plastic housing, protected from water by a twin-seal system. The unit is also available with a wall screw connection as IBS 9. 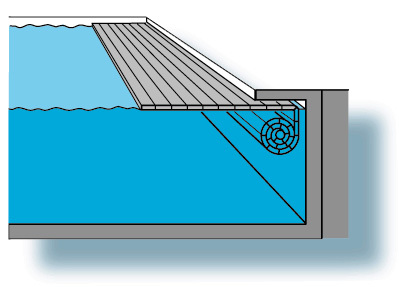 Roller System in a Mobile Bench for existing pools.